A Zeppelin just off the Autobahn – the impressive Allianz Stadium. Although the purists – and TV – were looking for the “dream final” of Real Madrid v Barcelona, Bayern Munich v Chelsea represents what European football was supposed to be all about – two clubs from different countries pitting their wits against each other. The danger of a Real v Barca encounter was that it would become an extension of the so-called “Clasico” and a very domestic affair. They may not be the best teams in Europe, neither won their national title last season or indeed, this time around. But they are both canny operators, as displayed in semi-finals they were expected to lose. And with Bayern playing in their home stadium – question, what colour will the chameleon Allianz Stadium be, given it is supposedly neutral territory? – they will start as favourites. I believe, though, that at this level, and this stage of the competition, home status will count for little, if anything. Bayern achieved a hat-trick of European Cup wins between 1974-76 – including this one against Leeds in Paris 1975. Bayern have a better track record in Europe, although Chelsea have been regular bridesmaids over the past decade. 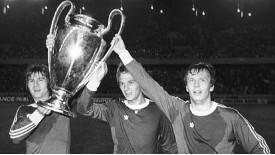 Bayern won the European Cup in 1974, 1975, 1976 and 2001. Their big names of the past read like an A-Z of European football: Beckenbauer, Muller, Hoeness, Maier, Rummenigge and Matthaus. They have won the Bundesliga 22 times, the last time in 2010. Chelsea, who have become perennial semi-finalists in the Champions League, have reached one final – the ill-fated Moscow meeting with Manchester United. They are at the tail-end of a golden age that has brought them three Premier titles (2005, 2006, 2010), three FA Cups (2007, 2009, 2010), two League Cups (2005, 2007). They are chasing a Champions League place for next season after a scruffy campaign in 2011-12. Chelsea know all about Arjen Robben, who is capable of producing outstanding goals at the drop of a shoulder. Franck Ribery is also a menace – he looks like a street fighter and often plays like one – and Bastian Schweinsteiger is a man mountain that Chelsea would dearly love in their line-up. And there is Mario Gomez, who has netted nearly 40 goals this season. As for Chelsea, their squad will be depleted by suspensions and it is a unit that needs a major overhaul in the close season. 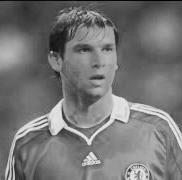 There is no doubt that for Drogba, Terry, Lampard and one or two others, Munich 2012 will be their swansong. There is a disjointed look about their squad. They have outperformed in recent weeks, perhaps in the hope of a contract extension here, a pay rise there. But only the most myopic patrons of Stamford Bridge believe that Chelsea’s squad has a long-term look about it. Jupp Heynckes, Bayern’s manager is a vastly experienced man whose name belongs to the glorious past of German football. He took over last summer- his second spell – so he knows how to get to grips with the Wagnerian shield that is the Bundesliga trophy. He won’t be lifting it this year but he will be expected to be getting the silver polish out next summer. Even if Roberto Di Matteo leads Chelsea to victory in either of the finals they face, that may be insufficient to secure the manager’s job on a permanent basis – if indeed, there is such a thing at Chelsea. The players want him – not a good sign given the AVB tale – and the fans will put their weight behind him in the coming weeks. RDM does not have the cachet of some of the big names in Europe, so it may be time for Roman to have a pep-talk. Literally. Ivanovic may want to cancel his SKY subscription after his post-match interview at the Nou Camp. As the SKYTV reporter gloated, “Ivanovic you will miss the final….did you know that?”. He’s one of four who will be absent – Ramires, Terry, Meireles are the others. Chelsea will miss them, even Terry, but Bayern have three men missing due to suspension – Luiz Gustavo, David Alaba and Holger Badstuber. There have been pleas for clemency by UEFA, but why should they change the rules? I cannot see Chelsea winning in Munich, but their dogged approach in the Nou Camp indicates they are determined to prove people wrong this season. It should be a fascinating contest. Oh well, here goes…Chelsea on penalties. Next Entry Barca the best? No way, Jose.